It’s always great to win and to have our fundamental rights re-affirmed. But keep in mind that the Hobby Lobby decision was only 5-4, meaning we were only one vote away from having the First Amendment line-item vetoed by the Supreme Court, and losing our right to religious freedom. There is nothing complicated about constitutional law. It is not a hard science, or any other kind of science, for that matter. The most important concept in constitutional law is not fundamental fairness, or justice, or equal protection, or any of that other happy horse crap they teach you in law school. The most important concept, indeed the only concept of any importance in constitutional law, is “five,” meaning if you have five justices, five politically appointed lawyers on your side, then your argument wins. That’s it. And that, my friends, is why elections matter. Because while we conservatives were busy celebrating Hobby Lobby’s heroic defense of religious liberties and the Supreme Court’s validation of same — to wit, that it is unconstitutional to force, as Obamacare does, closely held businesses to subsidize contraceptives for its employees when such conflicts with the business owner’s bona fide religious beliefs — we should be more than alarmed that the decision was 5-4, with the five Republican appointees all voting in favor of religious liberty, and the five Democrat appointees all voting to eradicate it. Only one vote by one unelected, unaccountable lawyer stopped the Supreme Court from effectively issuing a line item veto to the First Amendment, and erasing our most fundamental protection against government interference with our religious beliefs. That should put the fear of God into you. Or at least the fear of government. Just stop it already. It’s a very simple concept: a business owner does not check his constitutional rights at the office door. Hobby Lobby still has to pay its employees with money, and that money can be exchanged for contraceptives wherever they are sold. The government just cannot force Hobby Lobby to pay their employees with contraceptives instead of money. Women are still more than free to buy birth control either directly, or through a private insurance plan. Or, under this decision, they can compel the insurance company itself to provide it for free if their employer makes a religious objection. Good grief! Obamacare hasn’t been in place for five minutes and now people are acting like this minor and nuanced modification (to a terrible law that the vast majority of us hate, and which should have been thrown out in its entirety as unconstitutional), a modification which will inconvenience nobody while accommodating our most basic rights, has somehow sent us back in time to 1950… you know, that awful era in American history before cultural rot when families were intact, the middle class was robust, crime was a tiny fraction of what it is today, and “civil rights” meant “equality,” not entitlement at the expense of someone else’s rights. If anything, the most controversial aspect of the Hobby Lobby decision should be that the vote was not 9-0 in favor of the First Amendment right to freely practice our chosen religion. Americans of all political persuasions should be alarmed that four out of nine justices on the highest court in the land, people who are completely immune to oversight and accountability, nearly ended religious liberty as we know it in the country with the greatest tradition of it. Yes, Your Honor, that’s correct! Now you’re beginning to understand the concept of individual rights! My goodness! 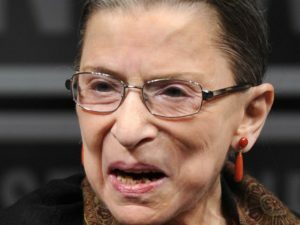 Here’s a woman who was the head of Harvard Law School, then Solicitor General of the United States, and is now a Supreme Court justice, and she acts like the Bill of Rights — which has existed for nearly a quarter of a millennium for the sole purpose of protecting the individual against coercion from the group, which, along with various checks and balances, is probably the defining characteristic of our Constitution — is to her and her Leftist colleagues a new, foreign, and novel concept, one so absurd it cannot even be fathomed! Now then, I do understand all the outrage from the Left, because most Leftists have never outgrown the tantrum stage of childhood, and clearly they did have a lot riding on this vote. After all, this was a defeat for the anti-business, anti-religion, pro-abortion, and pro-entitlement factions of the Left… which are all really one and the same and basically comprise the entire liberal body politic. But they should take solace in knowing (and I think they do) that this was not a major blow, or even a slight setback for them. This was them inching forward even closer and almost getting into the end zone. For the rest of America this was a goal line stand, but as long as the Left has the Presidency and the Senate, the Left still has the ball. It’s not enough to hold the line. We need to force a turnover. 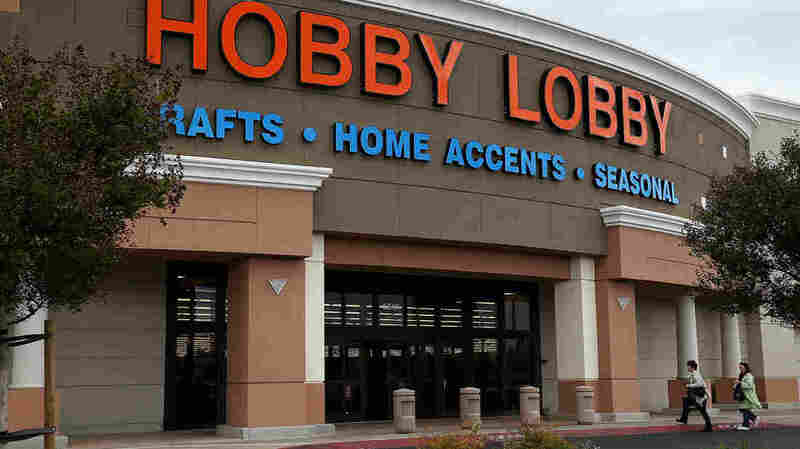 Unsurprisingly, some on the Left have called for a boycott of Hobby Lobby, as though any of them had been shopping at Hobby Lobby in the first place. Well, whatever. Hobby Lobby should celebrate. Few things are better for business than when the Left calls for a boycott. Remember when Jesse Jackson wanted to boycott Texaco and their lines were into the streets, or when the Left tried to boycott Chick-Fil-A and the stores were packed? People who don’t even know what Hobby Lobby sells are going to buy something from there just for the heck of it. And from now on I’m going to buy stock in whatever company I think is likely to annoy the Left next. This should not be all that hard considering that the Supreme Court docket is public, and their votes are predictable. 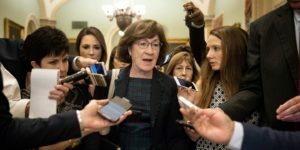 And what is even more predictable, indeed certain, is what will happen if one of our five Republican-appointed justices retires or dies while Democrats control the Presidency and the Senate. We are on the cusp of losing everything our forefathers fought for. 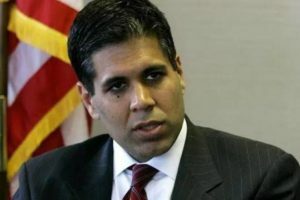 If this threat cannot unite the various factions within the Republican Party — from the moderates to the Tea Partiers to the libertarians — to nominate and support the most conservative candidates who are qualified and can win, then there is no hope for the future of this Party, or this country. We are all that stands between freedom and coercion. We must stand together.